The last post about CUDA installation guide was for CUDA 9.2. We went through several types of CUDA installation methods, including the multiple-version CUDA installs. 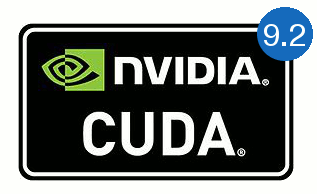 While the guide is still valid for CUDA 9.2, NVIDIA keeps releasing newer versions of CUDA. As a concrete example, when this article was written, the latest CUDA version has been CUDA 10, taking the spotlight from CUDA 9.2. If we are about to upgrade to CUDA 10, how can we achieve so? Can we simply upgrade the CUDA toolkit without upgrading the display driver? CUDA version upgrade itself can be a misleading term because since CUDA 8.0, multiple versions of CUDA can be installed on the same machine. But let’s have a simple scenario where we already have CUDA 9.1 installed and only want to upgrade to CUDA 10. NVIDIA states that each version of CUDA toolkit requires certain minimum NVIDIA display version that should be satisfied. This means that when upgrading to newer version of CUDA toolkit, we need to make sure that the currently installed display driver version is newer/bigger than the minimum compatible display driver version. 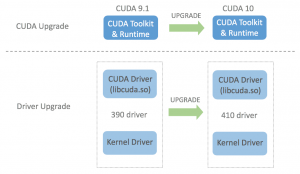 In other words, standard CUDA upgrade involves two upgrade processes: CUDA (toolkit) upgrade and driver upgrade. 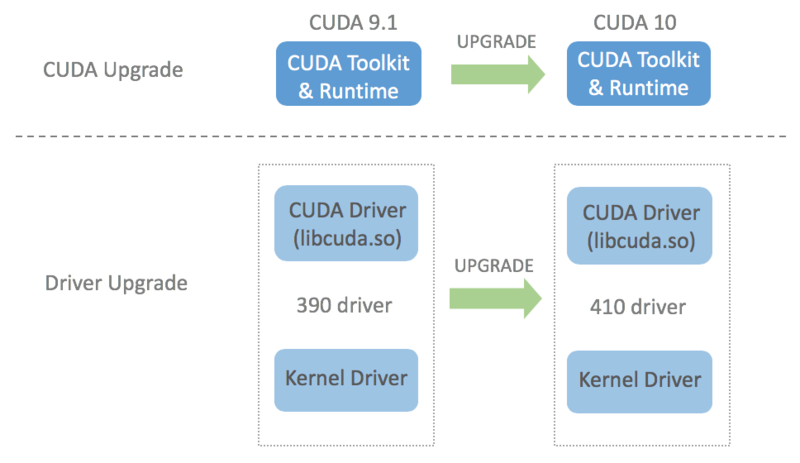 The following picture visualizes the standard upgrade process from CUDA 9.1 to CUDA 10: the toolkit is upgraded from 9.1 to 10 and the driver is upgraded from 390 to 410. This entry was posted in Linux and tagged CUDA, deep learning, GPU, NVIDIA, Ubuntu on December 8, 2018 by Tech Admin. This means that TensorFlow has crashed even before it does anything. What a surprise! This entry was posted in Linux, Python and tagged CPU, deep learning, TensorFlow on September 10, 2018 by Tech Admin. In this post, we are about to accomplish something less common: building and installing TensorFlow with CPU support-only on Ubuntu server / desktop / laptop. We are targeting machines with older CPU, as for example those without Advanced Vector Extensions (AVX) support. This kind of setup can be a choice when we are not using TensorFlow to build a new AI model but instead only for obtaining the prediction (inference) served by a trained AI model. Compared with model training, the model inference is less computational intensive. Hence, instead of performing the computation using GPU acceleration, the task can be simply handled by CPU. 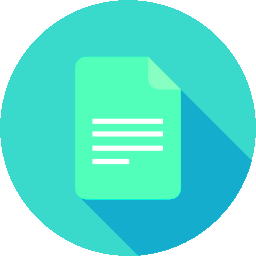 tl;dr The WHL file from TensorFlow CPU build is available for download from this Github repository. This entry was posted in Artificial Intelligence, Linux and tagged CPU, CUDA, GPU, TensorFlow, Ubuntu on September 8, 2018 by Tech Admin. In the previous post, we’ve proceeded with CUDA 9.1 installation on Ubuntu 16.04 LTS. As with other software that evolves, NVIDIA released CUDA 9.2 back in May. It is also safe to assume that CUDA 9.2 will not be final version. Newer version will may come soon or later and here we are left with the bogging question: “How can we upgrade safely without clobbering the currently working system?” Moreover, we may also wonder if there is a mechanism to rollback the change and live with current setup while recognizing that it’s not yet the time to upgrade. This entry was posted in Linux and tagged CUDA, cuDNN, deep learning, NVIDIA on August 22, 2018 by Tech Admin. In the previous posts, we’ve walked through the installations and configurations for various components and libraries required for doing deep learning / artificial intelligence on a Ubuntu 16.04 box. The next step is to be productive, crunching codes and solving problems by applying various algorithms. At this stage, visits to StackOverflow, Github or other similar sites become more frequent. And here is when the problem may arise. Not all codes or snippets copied and pasted from such online references can immediately work. 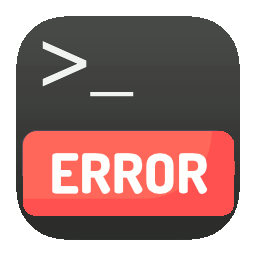 One of the reasons is that the code was indeed written for same software, library, or tool but at different version. Interestingly, software components for machine learning present different way to obtain the versions. These variations can sometimes result in additional time spent to query “ubuntu get xyz version” on the search engine. This is okay for one component, but when the system becomes complex enough (for example machine learning meets big data for ETL), this can turn into a productivity killer due to unjustifiable time taken for navigating the search engine. Why not build a list for that? This entry was posted in Artificial Intelligence, Linux and tagged deep learning, GPU, Ubuntu on August 14, 2018 by Tech Admin.